In the wake of the Food and Drug Administration’s (FDA) approval of the first pure hydrocodone drug, Zohydro, law enforcement and addiction specialists have voiced their concerns about the potential increase in overdose deaths, Newsday reports. Last December, the FDA created a panel of experts who voted against approval of Zohydro ER. The potential for addiction was the panel's foremost concern. Despite the makers of the drug, Zogenix, meeting targets for safety and efficacy, the panel voted 11-2 against approval. The panel said Zohydro could be used by opiate addicted people, including those abusing oxycodone. Zohydro is 10 times stronger when abused than today’s standard hydrocodone products, according to the article. Zohydro ER (extended release) is designed to be released over time, but it can be crushed and snorted by abusers of the medication. Zohydro, unlike OxyContin, does not include similar tamper-resistant features, the newspaper notes. Vicodin contains a combination of hydrocodone and acetaminophen. 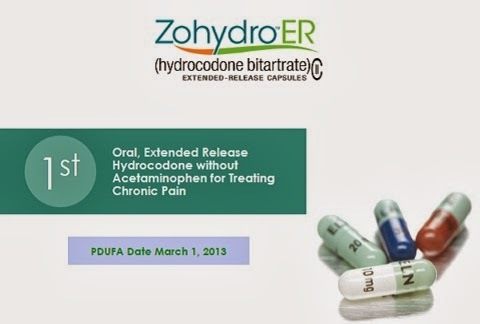 Zohydro is pure hydrocodone and is expected to reach the market in early 2014. Zogenix has begun work on an abuse deterrent formulation of Zohydro, according to a company statement.